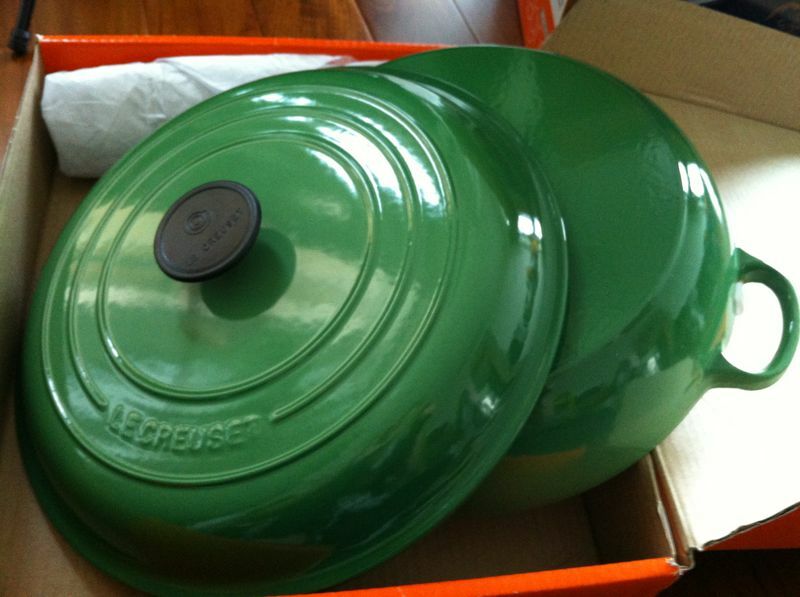 I love the French ovens / cast iron cookware. My first one is a 24cm Staub. Because of that, I have always favours Staub over to Le Creuset. 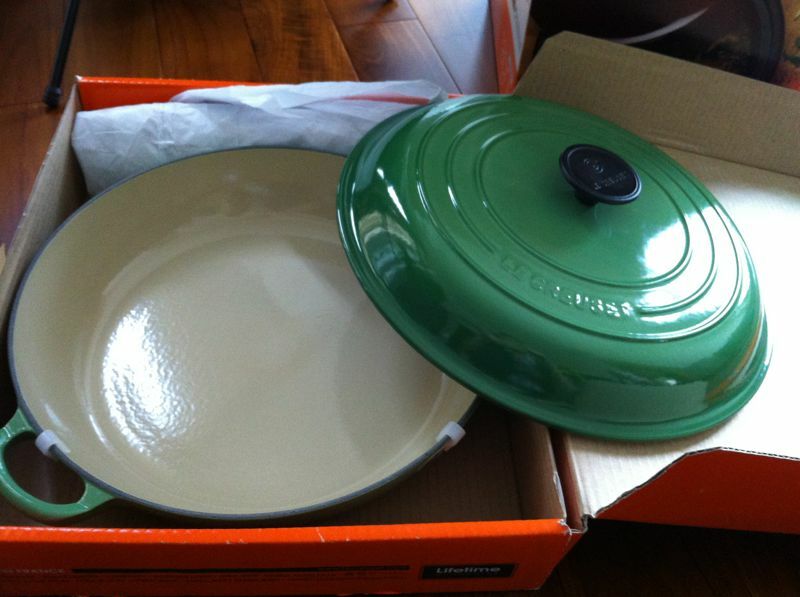 But, it doesn’t mean I like Le Creuset any less, especially when there is an amazing price slash. Recently, there is a huge Le Creuset warehouse sale in Hong Kong and one of my girlfriend who is staying there now kindly offered to check it out for me. Since I was not well-verse with the Le Creuset range, I started doing some research on it and settle on getting a braiser. ** Unlike the pots I already have, braiser is slightly shallower hence much more convenient for certain dishes I have in mind. It’s so beautiful, right? It is surprisingly much lighter compare to Staub. Thanks again SP for going thru the trouble of getting it for me! Lugging it to Taiwan to pass to her mom. And then, her mom kindly carrying it all the way back to KL!!! paiseh paiseh as I know these babies are not light ! Thank you very much again !! !